I hereby take the time to reflect on where I am in my various language journeys, where I could improve, if I am falling back, and what plans I may have. I will be as honest with myself as I can. First off, I should begin with English, my native language, the one that you are probably reading this article in. In no small part does this have to do with the fact that I had seen my American accent as something to “get rid of” and/or disguise (In my experience, Israelis and Swiss have “American radars” that are very difficult to fool, Germans are about average difficulty, Greeks above-average difficulty, Scandinavians below-average difficulty, and the easiest time I had disguising my accent was among Americans [no big surprise there]). Not only that, I still pepper my English with some foreign expressions (mostly from German, Finnish or assorted Scandinavian, mostly Danish), and I have to force an American accent most of the time. I should have foreseen this outcome: I kept this side to me so actively bottled up that when I need it to fit in, it still won’t come out, even with effort! That isn’t even to mention the fact that sometimes I speak English with the sentence structure of other languages, German being the worst offender and Greenlandic a close second . The words of the holy tongue (loshn-koydesh) really dealt me the opportunity for my Yiddish to “hold its own”. Thanks also to German and being constantly cognizant of the differences between German and Yiddish (and Dutch figures into this somehow as well…), I was capable of “slacking off” without practicing and still being able to maintain most conversations. But I really shouldn’t be lazy…but it seems that I came to the right city to practice this language! As to German, this is the one language I had struggled the most with, and I had difficulty having a conversation in German until about March/April 2014 (at that point I had been living in Germany for a year). Sometimes I also felt very self-conscious, not also to mention my nagging desire to love understudied languages more (gotta live with that…). I had encountered SO much discouragement and so many roadblocks and reflections and bouts of self-conscious worrying to get to that point, but luckily I have had more than enough success stories with conversational German (during my last semester) for me to be confident now. And now is what counts the most. Thanks largely to my “Deunglisch”, I may need to give spoken German a break for a while…but given how many written materials in German are in the library in which I am currently writing this blogpost, I think I can manage some other skill developments. In all of my languages, I am constantly building vocabulary (even with English, thanks largely to the bizarre Faroese vocabulary lists filled with culinary…um…intrigue?). Even better: when I look at a word in one of the Scandinavian Languages, I’ll compare it to the other two. This works wonders for my memory, interestingly. Television has worked wonders for me mastering the rhythm of the Swedish Language, I just imagine how certain characters would say the words that I’m thinking (with my musical muscle-memory) and then I duplicate that rhythm. This has never failed me. What I should do: (1) keep on the journey and (2) realize that I worry too much and (3) stop worrying so much. I’m not a beginner struggling to order cinnamon buns anymore. That was nearly two years ago. Danish: My Greenlandic and Faroese adventures have required me to bolster my ability to read Danish and it really shows when I can read a text out loud without flinching. The Stød is now very natural for me, but sometimes I’m still self-conscious about what many Danes might think of my accent (or sometimes even the fact that I chose to learn the language, or that I have this thing for the Danish colonies). Encountering a group of Danes in the NYC subway system the other day, it occurred to me that, in comparison to many languages, Danish, as spoken by native speakers, isn’t spoken very quickly. I have two primary goals with Danish: (1) learn slang better (as I may need them to learn Greenlandic and Faroese slang) and (2) stop worrying so much about what native speakers might think if I open my mouth. Come to think of it, I haven’t received discouragement for learning either Danish or Norwegian. From anyone. Norwegian: Now that I look back over the past year, it is clear that I have spent the smallest amount of time with Norwegian. Not surprisingly, I can read Norwegian articles very well (thanks to the whole Danish/Norwegian being very similar). I feel a lot more confident with my accent in Norwegian than I am with either of the other two Scandinavian Languages in question, and I’ve fooled many a non-Norwegian into thinking that I was from the country when I let loose a few words. I really try not to play favorites with my projects, but I still find that Norwegian is the most beautiful language in my collection and I should use that as a motivation to maintain it. After all, I really find that I have the least anxiety about Norwegian, but I really wish that I could speak it more often with real people. But hey, I’m in New York right? I had pumped so many hours into Finnish and I’m proud of it. I’m a far cry from being seen as a Native speaker with higher education, but I’m okay with having a good command of the casual language. From my time in Finland (back in November 2013 when I felt that I really didn’t know it that well), it seems that Finns are readily impressed by genuine foreigner attempts to learn their language (when I write “their language”, I am also being cognizant of the Fennoswedes). But thanks largely to Finnish being very far from English, I don’t get lots of vocabulary “for free” the way I do with the Germanic or the Romance Languages. I have to maintain the language with extra effort. If that means watching more TV in Finnish than devoting it to other ones, then so be it. Right now I’d really like to use Finnish to strengthen Estonian and Northern Sami. It would also be interesting for the day in which I take Hungarian very seriously. Next time I will write about the almost-conversational languages in part 2! I would like to congratulate Julian Tsapir again for solving my SECOND riddle so quickly. I took forward to the day in which he represents his country/hometown/family in puzzle and riddle competitions. “• This language is the official language of a country, but not the only language with this status. The language in question is Romansh, the fourth official language of Switzerland. 1. I realized that I had trouble maintaining some of my Romance Languages, especially with less-than-helpful progress in both French and Italian. European Portuguese is definitely my favorite of the commonly spoken Romance Languages, but I realized by the sheer amount of hours that I poured into Greenlandic that I had a burning passion for understudied languages (again, much of the reason that I started this blog). 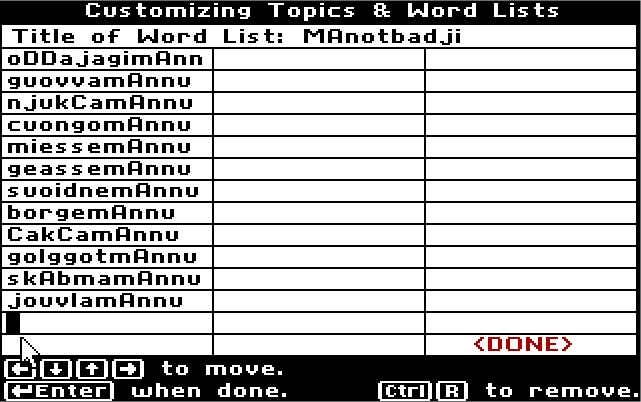 While studying Northern Sami, I realized that my command of Finnish became stronger when I was using the dictionaries on Giella Tekno. Before I took polyglottery very seriously, I knew that my mind tended to work in highly associative patterns. New York is probably the one place on earth where I really shouldn’t forget many of the importantly spoken Romance Languages, and I have trouble motivating myself to fall in love with something that is already receiving a lot of attention. Therefore, I have my underdog language that is closely related to Italian and to French, and by giving him/her/it appropriate care, I hope that I can not only learn more about Romansh revival efforts and Swiss culture but also ensure that I can maintain some semblance of conversation in the Romance Languages which, admittedly, I did not fawn over the way I did many of my others (especially the Scandinavian trifecta and Greenlandic). I intend to look at how the various revival efforts for each of the languages can be seen in the light of one another. Furthermore, I am curious if there are some traits in Endangered Languages that are usually not seen in ones that are more secure. Interestingly: in both Northern Sami and in Yiddish there are words denoting outsiders or outsider women in particular: “goy” and “shikse” may be familiar to those of you who may know only very little about Jewish culture, but “rivgu” (a non-Sami woman) and “dáža” (a non-Sami Norwegian) are words that outsiders of Sami culture may not be aware of. Also: many people are amused by the fact that the word for the Danish Language in Greenlandic is “qallunaatut” – very roughly, “the language of white people”. Anyhow, next up: a progress report on my language studies and goals before my school begins next week! One fine day I found myself mentally fatigued and quite unable to stomach the linear learning patterns of Memrise any longer. I needed to learn numbers in Finnish (this was early 2013) and I couldn’t imagine that flash cards or reciting things from tables would work particularly well. While wandering around in the basement, I found a stack of 1990’s CDs that I had very much adored as a child. By and large, the only computer games I was allowed to play as a kid were those with educational value, but by no means did that mean that I wasn’t entertained. 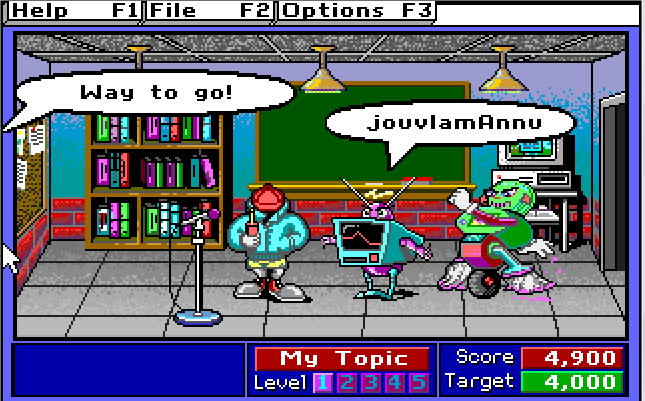 I remember that there was this one game in which you would challenge Morty Maxwell, better known as the “Master of Mischief”, to some cartoonized version of the United States’ National Spelling Bee. 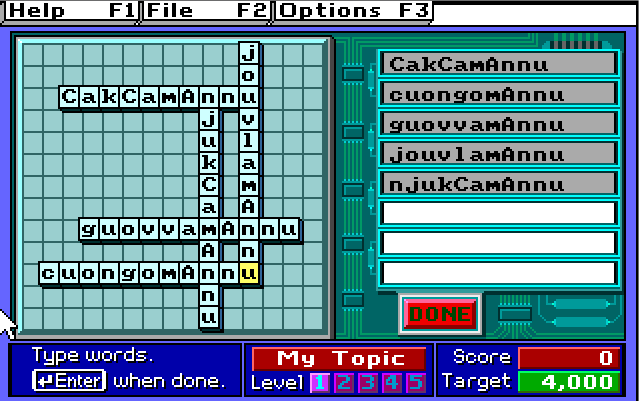 In order to train for the various levels of competition, there were games used to ensured that you remembered how to spell the words. BEHOLD! My Northern Sami Months! Gathered and ready to be learned! Interestingly this will work for words that you recognize passively, but not actively. For that, try getting another program. But should you need to learn words that are closely related to ones in languages you already speak, then by all means, Spellbound is for you. Some things I should note: I had to change some of the letters because of the “special characters” in the language. 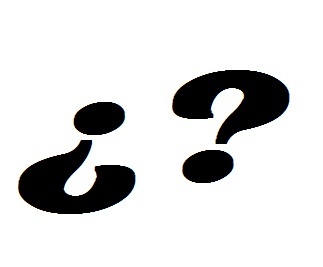 Hence, the capital a’s being used instead of á, ŋ is written out as “ng”, and so forth. Also “ođđajagimánnu” (January, literally “New Year Month”) couldn’t fit in the space provided. I learned my Finnish and Northern Sami numbers perfectly when using this program (when memrise got me to a certain point but I was still forgetting them often), I tend to utilize it as a last resort or if I need some color in my life. Nostalgia is also a good reason to do many things as well. 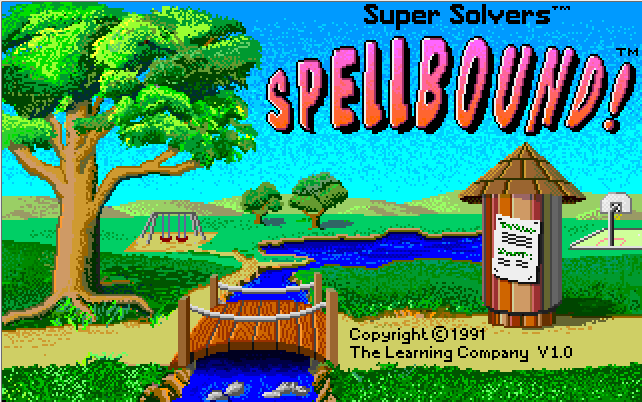 You can get the program for free on DOSBox and search for “Super Solvers Spellbound” on some abandonware site to get the game, which is older than most college students today. Enjoy your grand accomplishments on a national scale! Last week, during my home visit, I dedicated a handful of hours to speaking nothing else aside from Northern Sami, with my phrasebook in one hand and Giellatekno within reach. The only person who was present at the time was my mother, and I agreed to not avoid English in public (in the event that something needed to be purchased) nor would I refrain from writing it. (1) The Dual Pronouns and Conjugations in Northern Sami weren’t particularly strange after a significant amount of usage. Back when I first started, I had to constantly remind myself not to use “mii” instead of “moai” when there were only two people involved. Given as there was only one other person on the premises during my immersion scheme, I had learned to block the plural pronouns out of my mind completely, except when talking about a peer group or so. (2) An important thing I noticed is that the language wasn’t about painful grammar tables any more. I had a quick reference in my notebook that I had used for ensuring that I got verbs correct. What you must do instead, however, is use the language, if only by talking to yourself, and thereby inculcate the grammatical systems into your conscious in this manner. This will be particularly helpful later on when I focus more on Faroese, which has a notorious grammar system closer to that of ancient languages. I’m not afraid, however, because now I know exactly what to do! And so do you, for that matter! 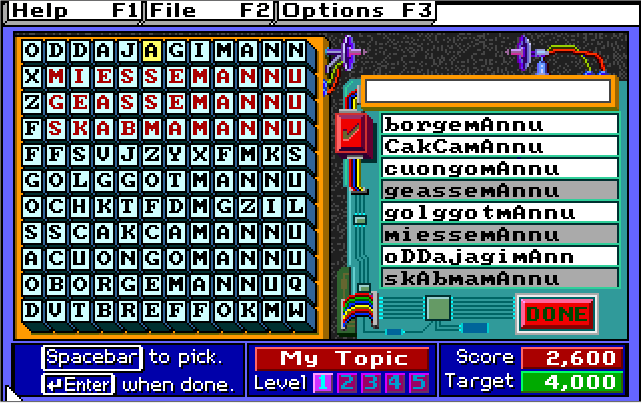 Similarly, Giellatekno’s dictionary, the Freelang dictionary, Sami Wikipedia, and the phrasebook all failed to offer any word in Northern Sami for “dolphin”. Therefore, I opted for some vague corruption of Finnish “delfiini” (I cannot remember exactly what I said). This is something that just simply does not occur with more commonly spoken languages. One reason I decided to start this blog was because I knew that I would be entering territory that almost no one had entered. Therefore, it is my duty to share these experiences. 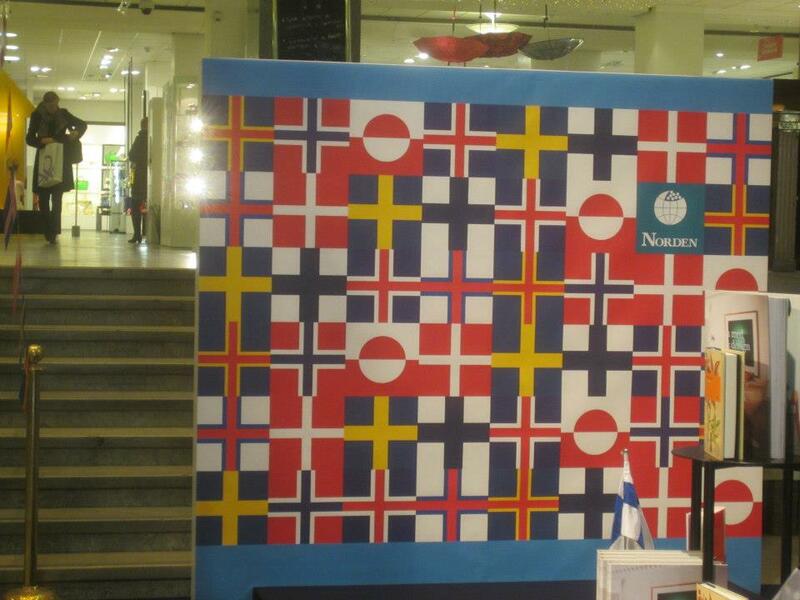 “Picture this: Person speaking in Swedish with Northern Sami voiceovers and Norwegian Subtitles”. My language filter can sometimes have significant problems with this “Kauderwelsch”, even with Swedish and Norwegian being very close to each other. Therefore, I primarily opted to focus on speaking rather than media in order to hone my skills, because I fear that, more often than not, getting material in 100% Sami is just simply not going to happen (hopefully the future will change this). Even on Kringvarp Føroya (the Faroese Media Service) this is a bit of an issue with Danish spokespeople frequently appearing (although, very interestingly, Greenlandic TV is usually kept in one language at a time). …regardless, there are some language journeys of mine that I have slowed down or sometimes stopped altogether, but this is one that I am very much intent on continuing. Coming later on this week: a software surprise!